Instead of paying for content with money, Sharewall lets users grant publishers access to social data in exchange for targeted content recommendations. Banner ads were all the rage in the early days of the World Wide Web. With traffic moving to mobile, banner ads aren’t a very lucrative monetization strategy. While some publishers are testing paywall models, it’s hard to get readers to pay for content online. 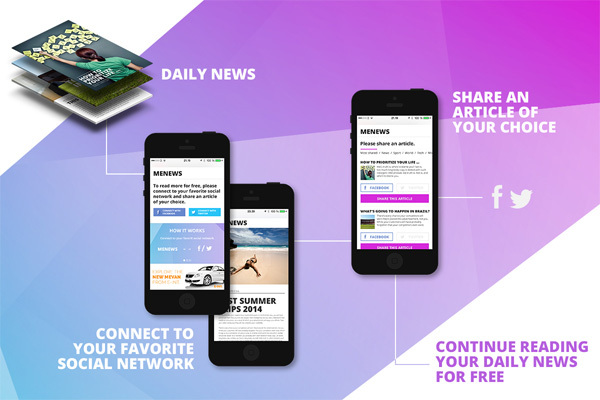 “Readers will only pay for ‘need to have’ content, and some copyrighted content,” says Anders Ibsen, founder and CEO of Sharewall, a system that enables consumers to pay for content with social data instead of money. 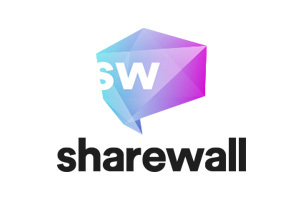 With Sharewall, instead of hitting a paywall, readers are directed to a page that informs them that the content is free to read, but the publisher requests access to the readers’ social data. But the data doesn’t monetize anything directly, Ibsen says. Instead, it enables publishers to communicate with individual users more effectively. For instance, once a reader has granted publishers access to their social data, Sharewall’s machine-learning algorithm can discover the reader’s interests, which in turn, helps the publisher deliver more targeted content. The other part of the process is to leverage the power of influence by asking people to share content from time to time. In addition to understanding the reader’s behavior, the social data enables Sharewall to calculate the likelihood that a particular user’s network will click through or like a post. The benefit for the reader is increased trust and influence within their network, says Ibsen.